From backpackers and adventure junkies, to glampers and organizers. 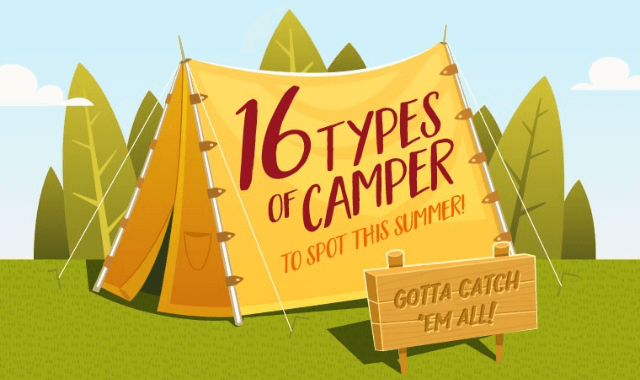 16 types of campers are featured in this fun infographic. Do you know any of these? We would like to thank Cool of The Wild for this fun infographic!